Yamaha, Mercury & Evinrude outboard repair and maintenance. Dockside service. Licensed and insured. 1. Wash your boat regularly. If you boat in saltwater, rinse your boat thoroughly with fresh water after every outing to remove salt residue. Salt will not only corrode metal, fasteners and other hardware, left too long on your gel coat, It can mar that as well. 2. Change Your Oil. Just like cars, boats need to have their oil changed. 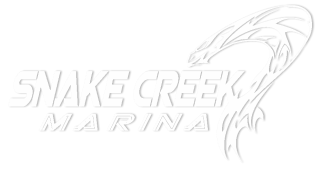 Four-stroke outboards, inboards and stern drive boats require regular oil changes. The frequency will vary by model but a good rule of thumb is to change the oil every 100 hours of operation or once a year. 3. Check the Propeller. If you have an outboard or stern drive boat you should check the propeller as part of your pre-launch routine. Use a deep well socket to remove the propeller several times during the season to make sure discarded fishing line hasn't become wrapped around the propeller shaft. Inspect it for nicks, dents and other signs of damage. It’s alright if your prop is missing paint, but send it out for repairs if you find signs of impact. The smallest dent can cause your boat to lose performance and burn excessive fuel. A damaged prop also can vibrate, putting too much stress on bearings and seals causing additional damage. Insurance claims specialist. Major reconstruction, gel coat matching, custom fabrication, core & transom repair. Licensed and insured.